A Windows system with at least 2 GBytes of RAM. 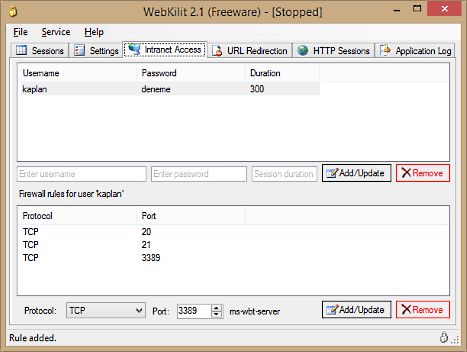 Replication of LAN traffic to the Ethernet port of WebKilit installed machine in a Ethernet switching environment for HTTP URL blocking. 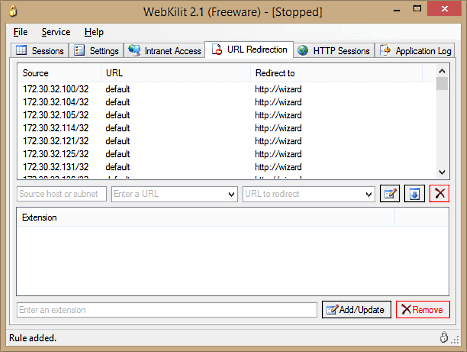 To uninstall WebKilit, double click WebKilit icon at "Add or Remove Programs" from Control Panel. Please see Installation Manual which can be found in the application directory for configuration details and operation. 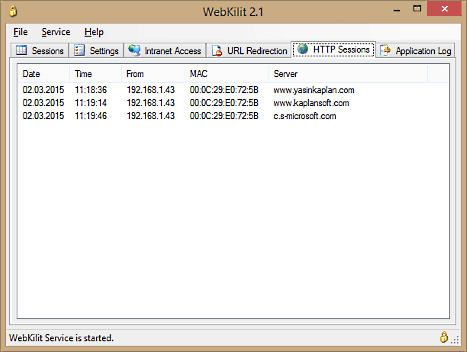 Run WebKilit by double clicking WebKilit icon on the Windows desktop. Add users at Intranet Access tab and specify a password and maximum session duration for each user and add allowed TCP/UDP ports in user profile. 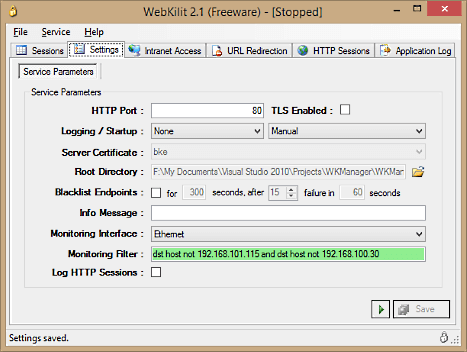 Specify a black list of URLs in URL blacklist tab and specify monitoring interface for HTTP traffic in settings.